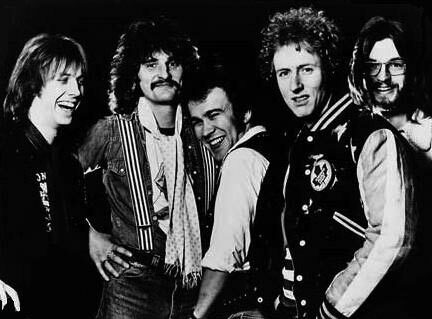 ROUGH DIAMOND was formed by singer DAVID BYRON following his dismissal from URIAH HEEP, along with former HUMBLE PIE guitarist CLEM CLEMPSON and ex-WINGS drummer GEOFF BRITTON. The band opened for PETER FRAMPTON in the spring of 1977 on the latter's US tour. The group disbanded shortly after releasing their debut.